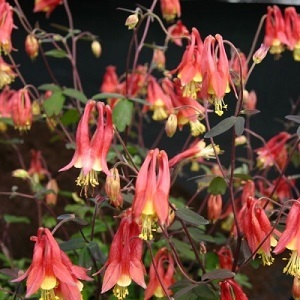 A great new variety of Aquilegia with bright red and yellow flowers in June and July. The plants have a neat compact habit and grow to a height of about 20cm. Great for the garden and for containers and pots. Good cut flowers. Aquilegias grow best in sun to part shade and most soils. They are drought tolerant once established and attract pollinators into the garden. Pack of 30 seeds. 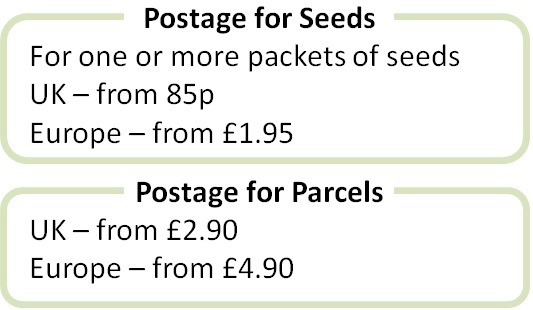 Sow in spring for first year flowering and summer/autumn for next year flowering. Sowing instructions and a colour photo are printed on the packet. Sow spring to autumn. Sow in summer/autumn for next year flowering and early spring for same year flowering. Sow in moist seed compost. Lightly cover the seeds with soil or vermiculite and keep at 15 -18°C (no higher than 20°C). Germination takes about 2-4 weeks,sometimes up to 3 months. Pot on when seedlings are large enough to handle, and protect summer/autumn sowings over the first winter. Trim back plants after flowering. Leaves will regrow and remain on the plant over winter. Plants will self seed around the garden but not necessarily in the same flower colour as these seeds.